Healthy Families Pasco Hernando will host Brunch with Santa at 11 am, Tuesday, December 16, 2014 at the Fellowship Hall of St. Mark’s Presbyterian Church, 7766 State Road 52, Hudson, Fl. Parents and children will enjoy pancakes, eggs and ham. Santa Claus will arrive to hear the children’s Christmas wishes. Photos of the children with Santa will be taken at no charge and distributed at future home visits. The Early Learning Coalition will provide books for all children in attendance. Rep. Amanda Murphy will offer holiday wishes and other community partners will be on hand to meet the attendees. If you are interested in attending, RSVP by December 12, 2014. 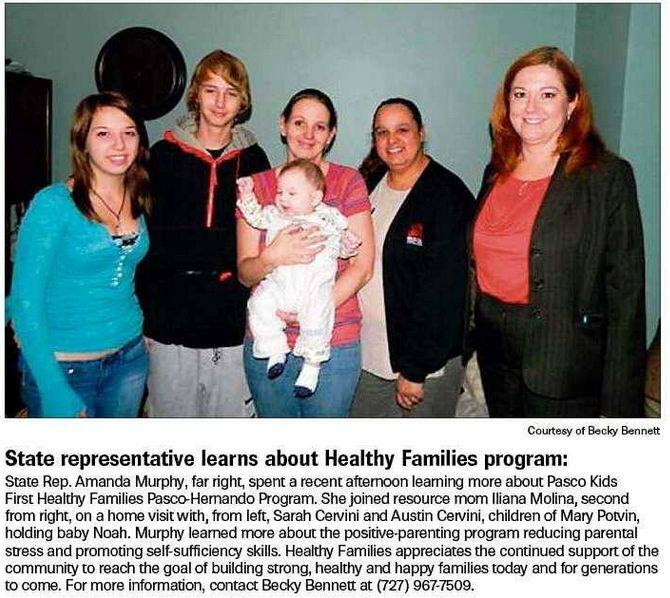 Call the Healthy Families Pasco-Hernando at 727-243-6748 to reserve your space. Pasco Kids First is proud to announce the organization’s new website. We have added a list of improvements to better serve our clients and Internet audience. As non-profit organization, our goal is to create a new site with the state-of-the-art technology that’s easy to use and offer more features to serve the public of Pasco and Hernando counties and the world at large. Our new website uses the most innovative “open-source” software of WordPress that’s the leading content management system in the world with the capability to add more function and enhance our web presence as we grow in a very cost-effective way. We now manage our own content without programming support efforts. Pasco Kids First’s internal staff will publish information and manage the content directly on the new website. This makes it easier to communicate with less effort to deliver content. It allows us to save money, while we are able to get ours messages out in real-time. Pasco Kids First sees these technological improvements as the path to more proficiency and delivering more value to the community. Our new website makes it easier to find the information quickly by using a Search Box and a full function menu system built on an information structure that is simple to follow. Thank you for your continued support of Pasco Kids First. It’s never too late to help us with our cause by sending a check to Pasco Kids First. Representative Murphy joined us on a Healthy Families Home Visit prior to traveling to Tallahassee for session. This photo appeared in the Tampa Bay Times. Thank you for your interest in our children and families!